BECAUSE OF A NUMBER OF FACTORS. 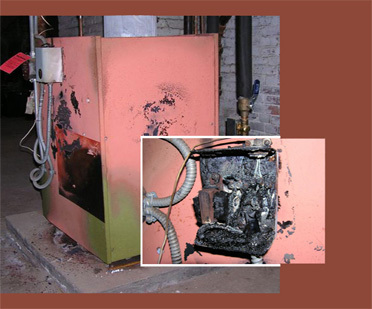 Boiler and furnace damage can cause devastating losses. Causes can include freeze ups, overheating, leaks leading to flood damage, system malfunctions, chimney fires, and soot damage. ISE isolates the cause of failure using the most professional, state of the art tools and technology. In this situation, the boiler suffered such extreme overheating that the cast iron actually melted. Our evaluations of heating systems and hot water heaters often reveal other previously unknown problems. ISE will outline corrective actions to avoid future losses. 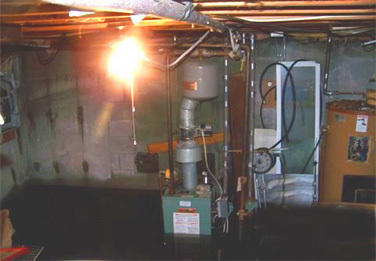 A boiler can develop leaks that can lead to severe basement flooding and resulting damage to the house and property. There is a long list of reasons why a boiler or furnace will start leaking. 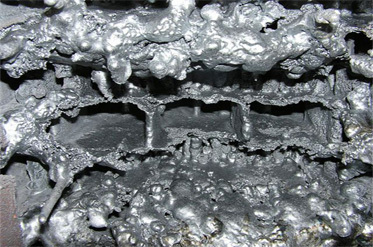 ISE's on-site and in-house laboratory capabilities enable us to examine all the possible causes and discover the actual cause of the loss.